Our after-shave balm is handcrafted in small batches from organic, natural, and vegan plant based ingredients that are good for your skin. The perfect formulation prevents irritation and does not burn your skin, even if you have sensitive skin. We love animals and care about our planet as much as you do, this is why we never test on animals and we strive to always use recyclable packaging. Please recycle the bottle and box when you finish enjoying this amazing product. All of our products are proudly made in the USA including our packaging. Your purchase of any of our products allows us to create jobs for American men and women including veterans. 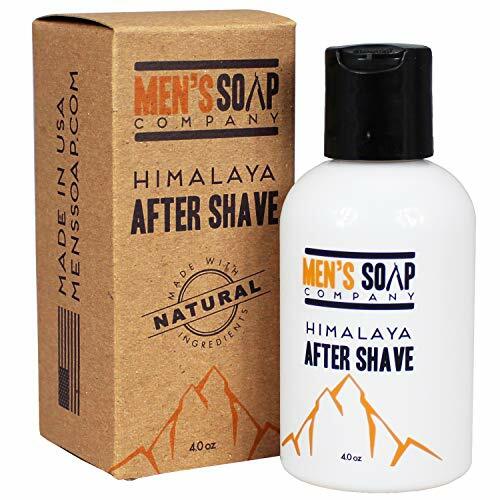 The Himalaya after shave balm has a great and not overpowering scent that smells amazing. The cream absorbs really well and leaves your skin silky soft and smooth. The lotion does not feel sticky or oily on your skin. Our bottle is much larger than others on the market which means this aftershave can last you 1 year or more. The bottle comes with a tight safety seal and the lotion flows easily from the spout. There are no clogged pump or leaks to worry about. Organic, Natural, and Vegan: Our after-shave balm is handcrafted in small batches from organic, natural, and vegan plant based ingredients that are good for your skin. The perfect formulation prevents irritation and does not burn your skin, even if you have sensitive skin. 100% Cruelty Free: We love animals and care about our planet as much as you do, this is why we never test on animals and we strive to always use recyclable packaging. Please recycle the bottle and box when you finish enjoying this amazing product. Made in the USA: All of our products are proudly made in the USA including our packaging. Your purchase of any of our products allows us to create jobs for American men and women including veterans. Terrific Scent & Light Lotion: The Himalaya after shave balm has a great and not overpowering scent that smells amazing. The cream absorbs really well and leaves your skin silky soft and smooth. The lotion does not feel sticky or oily on your skin. Large 4.0 oz Bottle: Our bottle is much larger than others on the market which means this aftershave can last you 1 year or more. The bottle comes with a tight safety seal and the lotion flows easily from the spout. There are no clogged pump or leaks to worry about. The Lavender after shave balm has a great and not overpowering scent that smells amazing. The cream absorbs really well and leaves your skin silky soft and smooth. The lotion does not feel sticky or oily on your skin. Terrific Scent & Light Lotion: The Lavender after shave balm has a great and not overpowering scent that smells amazing. The cream absorbs really well and leaves your skin silky soft and smooth. The lotion does not feel sticky or oily on your skin. The Sandalwood after shave balm has a hint of musk which is not an overpowering scent that smells amazing. The cream absorbs really well and leaves your skin silky soft and smooth. The lotion does not feel sticky or oily on your skin. Terrific Scent & Light Lotion: The Sandalwood after shave balm has a hint of musk which is not an overpowering scent that smells amazing. The cream absorbs really well and leaves your skin silky soft and smooth. The lotion does not feel sticky or oily on your skin. 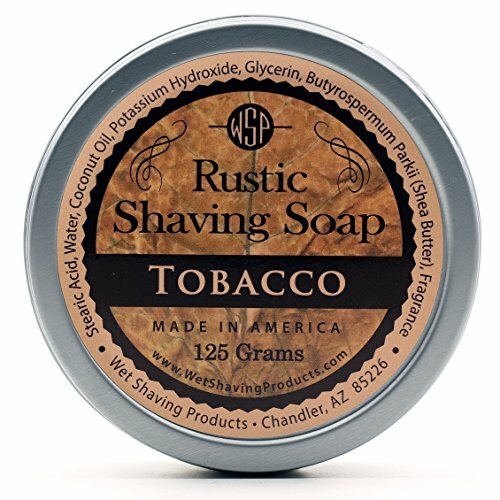 Enjoy a rich, creamy, & protective lather using WSP’s new Rustic Shaving Soap. Made entirely from scratch in America using only 6 natural vegan ingredients and no parabens. Inspired by Martin de Candre’s incredible shaving soap. We started with notes of cured tobacco for the base, and added top notes of bay leaf, and fir to create an intoxicating blend of tobacco and bay leaf. Get a nice close shave with this shaving soap. The lather builds up quickly, has great cushioning and glide, and the smell is amazing. Natural vegan soap is gentle on the skin. Free of synthetic dyes & preservatives. Wide mouth tin makes loading & storage easy. Concentrated Soap Formula lasts longer. No water filler. 125 grams, 4.4 ounces by weight. Made in America using the following natural & vegan ingredients: Stearic Acid, Water, Coconut Oil, Potassium Hydroxide, Glycerin, Fragrance. 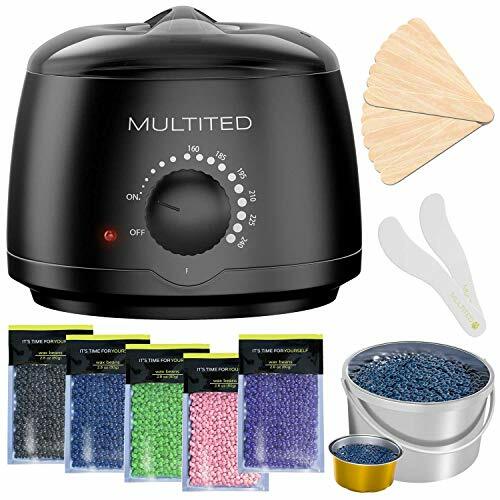 FEEL THE FREEDOM – High Quality Hard Waxing Kit for women – 5 different flavors of wax beans (Chamomile, lavender, Rose, Black or Aloe Vera ), Wax Warmer, Wax Sticks, 2 Special Spatulas and Special Gold-colored hard wax pot for measuring. The hard waxing beads is easy to use and remove, no wax strips needed and the waxing is painless . NEW BEAUTY SOLUTIONS – 5 Bags of 80g Hard Wax Beans made of Natural Ingredients and Coconut Oil with a 2018 upgraded formula, Gentle and Safe. Our Hard Wax Beans made from high quality resins, aromatherapy oils and natural items. You can use it to remove hair from Everywhere, like legs, face, hands, under arms, armpit, bikini wax lines, stomach and many more areas of body. The waxing Hair removal is for women & men. SAVE TIME AND MONEY – Fast Heating Wax Warmer – a wide range of temperatures (160℉ to 240℉) and adjustable thermostat control knob for quick wax meltdown in 10 minutes. Upgraded heat-resistant ABS material to prevent overheat; Large-capacity 500ml waxing melter pot can be used for different types of melting wax, like hard wax, soft wax, loose wax, bricks bikini wax kits, microwavable wax kits and hair waxing kits. Auto-shut-off Function maintains ideal wax consistency. EASY TO USE, EASY TO CLEAN – Plug in, Set the Temperature and Start Using, no strips needed, it’s a fast and efficient hair removal kit. The wax machine comes with a removable pot that makes it easy to clean. Just take it out after use. TAKE CARE OF YOURSELF – 100% Approved Body-Safe and 100% Money-Back Guarantee – Highly purified wax and 100% non-toxic.. Your Safety is our priority. 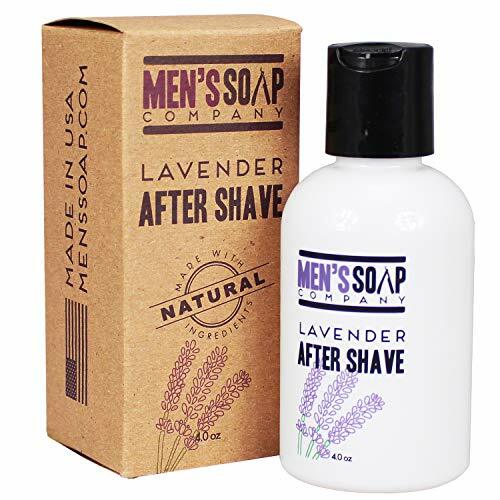 The secret to shaving daily and experiencing a soft and smooth shave while not having irritation is in the ingredients of the Men’s Soap Company Shaving Soap. This soap is formulated to build nice thick, luxurious lather and to give you great cushioning and glide preventing the razor from irritating your skin. The Shea Butter moisturizes your skin while the soy comforts and conditions. Why Buy Men’s Soap Company Shaving Soap? Can You Melt The Shaving Soap? Yes our shaving soaps can be melted by simply placing the soap in your mug and use a microwave at 20 seconds. Repeat until soap is fully melted. Let soap dry and harden for about 24 hours. Men’s Soap Company Shaving Soap is backed by a money back guarantee, if you are not satisfied with our product simply contact us for a full refund. Click the ‘Add to Cart’ button & get the best shaving soap TODAY! You will not regret investing in a smooth and irritation free skin! 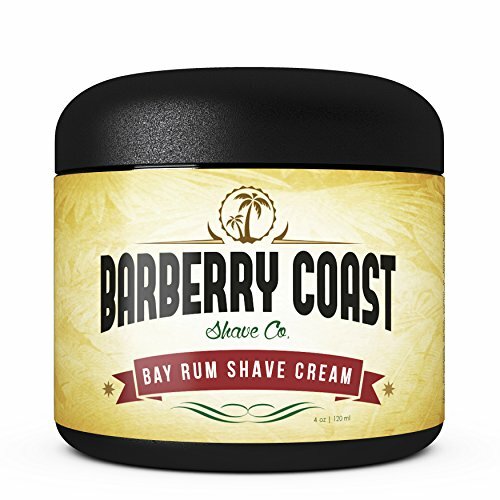 Subtle Bay Rum scent: many of our customers have described the scent as mild and delightful that is not overpowering. Get over 120 shaves from this large refill puck. Makes a perfect gift for Father’s Day. Thick and creamy lather: you can whip a nice, thick creamy lather in 15 seconds that provides fantastic glide and protection. The rich lather and thick foam provides a coating that leads to a smooth shave. Your razor can be rinsed cleanly without having to brush out the blades between shaving strokes. In life, there’s a time for leisure and a time for getting down to business. And when you’re traveling, it’s usually the latter. So let’s talk life. The essentials. The testosterone trifecta: You’ve got your shower; you’ve got your shave; and yeah, you’ve got your daily business. These things are crucial, and you value your daily routine. We’ve got you covered. Grab our Sh*t Shower Shave kit, and you can do your business whenever, wherever – even in a public restroom, at the office, in the gym, or as you fly, teetering over a mile-high toilet in a bathroom too small for a toddler. 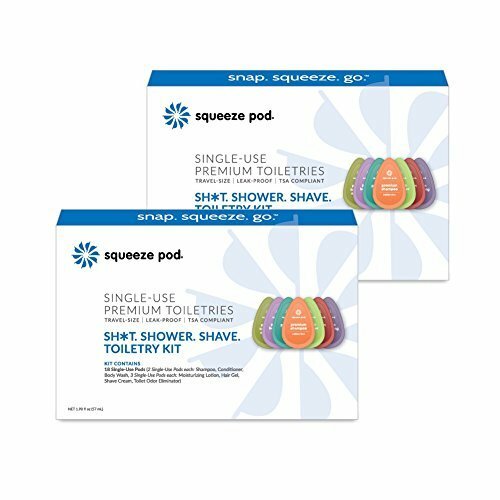 The Sh*t Shower Shave Toiletry Kit includes * Shampoo (4 single-use pods) – Vanilla Lavender Scent * Conditioner (4 single-use pods) – Vanilla Lavender Scent *Body Wash (4 single-use pods) – Vanilla Lavender Scent * Hair Gel (6 single-use pods) – Fresh Clean Scent * Shave Cream (6 single-use pods) – Fresh Lemon Pine Scent * Moisturizing Lotion (6 single-use pods) – Grapefruit Bergamot Scent and * Toilet Odor Eliminator (6 single-use pods) – Fresh Eucalyptus Scent. The Miracle Working Shea Butter rich formula keeps skin smooth and supple. Full of highly effective natural and organic soothers, moisturizer, and anti-oxidants — aloe, sunflower and sweet almond oil, white and green teas, lavender and comfrey – skin will transform into its own best defense against harsh environmental factors while staying soft and bump free. 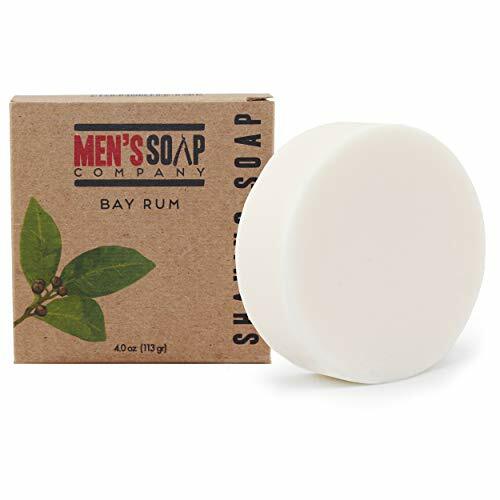 Bay rum is one of the oldest recorded aftershave scents. It brings back the nostalgia of old school barbershops and grandpa’s shave routine. Back when quality and craftsmanship meant something. * How long it should last: can last up to 6 months. BRUSHLESS CONVENIENCE – Use with or without a shaving brush – simply lather up with your fingertips or favorite shave brush. YOUNGER LOOKING SKIN – Formulated with anti-oxidants to leave your skin looking younger, more refreshed and bump free. KEEPS YOUR SKIN SMOOTH – With rich emollients and highly effective natural ingredients and organic soothers and moisturizers. SKIN WILL TRANSFORM into it’s own best defense against harsh environmental factors while staying soft and bump free. Time For a Stick Shift. 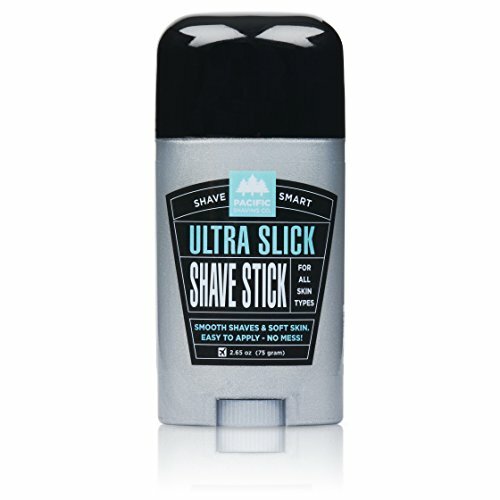 Incredibly easy to apply and mess-free, this shave stick will completely change your shaving game. Just rub it directly on wet skin (whether or not you even lather is up to you) and shave away! Perfect for your face, head, legs, underarms, sink, shower, bathtub – anywhere and everywhere you shave. Directions: Apply directly to wet skin, with and against the grain of your hair growth. If a lather is desired, massage into skin with your hand or a a quality brush. Enjoy your shave! No mess – Easy to apply Perfect for Travel For face, head, legs, underarm – anywhere and everywhere you shave! A little goes a long way. UBERLATHER RECIPE: Apply shave stick underneath your favorite Pacific Shaving Company shaving cream. Use quality brush to create an ultra-rich, incredibly slick lather. Made in the USA | No Animal Testing | No Parabens | No Phthlates | No Dyes | Gluten-Free | Vega.n ?Looking not just for ‘how to shave’, but how to get ‘the best’ shave? It’s all in your shaving cream. With safe, natural, and plant-derived ingredients, our unique non-aerosol formula is about to become your skin’s best friend. But this isn’t only about closer shaves – it’s got you covered before, during and after. Here’s what you can expect: – Softer whiskers and superior lubrication – Healthy, soft skin. A little goes a long way! Our small but mighty stick is long-lasting, and will help keep your skin smooth (like butter!) and supple. WE’LL PRETTY MUCH DO ANYTHING TO AVOID CHECKING OUR LUGGAGE. Whether we’re off to Miami or Madagascar, checking bags is a leap of faith we’re never excited to take. Will our stuff actually meet us in Boston, Bangkok, Berlin? Will our under things be untouched and our toiletries intact? To avoid the unknowns of the checked bag experience, our line of shaving essentials is TSA-compliant, always 3.4 ounces or less. Totally cool for your carry-on. UNLIKE OTHER SHAVING CREAMS, PACIFIC SHAVING CO. PRODUCTS ARE MADE WITH SAFE, NATURAL, AND ORGANIC INGREDIENTS. Our Ultra Slick Shave Stick provides great cushion, glide, and leaves skin feeling moisturized and healthy-looking. SAY GOODBYE TO RAZOR-BURN. Innovative and effective formulations that soothe skin and help reduce irritation and bumps. Great for sensitive skin. Actually enjoy shaving again! COOL FOR YOUR CARRY-ON. CONCENTRATED FORMULAS IN TSA, TRAVEL FRIENDLY SIZES. Nothing is worse than getting your favorite shaving items confiscated at the airport. Our items will help you breeze through airport security. Road warriors rejoice! Are you growing a long beard? If so, proper care and upkeep is essential.Having a properly groomed beard is extremely important. No one likes the hobo look, and besides the aesthetic factor – beards without real care will turn into a nightmare for you. It will sting, itch, and hurt you and the people that get close to your face. Unkempt beards can irritate the skin and cause many problems, which include acne, beard dandruff, and dry skin.QQwow Beard Grooming Kit is here to help you and turn your grooming experience into a swell one. Does unruly beard drive you mad? Our beard oil is a blend of natural ingredients, such as jojoba oil,grape seed oil, hempseed oil that are used to address specific beard problems such as itching, sensitive skin or dryness.Perfect leave in softer and conditoner helps prevent “beardruff” and also smoothes and tames for a hydrated, healthy-looking beard. Occasion calls for a toned-down look? We know that keeping an epic beard in shape is no easy task.This beard balm is created to keep even the most manly of men in shape.Good beard balm helps moisturize your facial hair, provide hold for styling and make your beard look thicker. 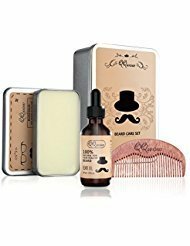 How to use this beard grooming kit? Super easy to use.Simply apply a small amount of beard oil or beard balm and rub it thoroughly your beard.Extra natural woody comb for detangling and overall grooming. What are you waiting for? Bring it home and prepare to receive compliments! For A Softer&Manageable Beard-The powerful and all natural beard oil in this beard care kit acts perfectly as a moisturizer to smooth even the manliest beards. Mess-free and Easy to use. Ideal for mustaches and goatee as well. Discover Africa’s Ancient, Healthy & Best-Kept Skin Beauty Secret! Looking for a natural, organic and healthy way to cleanse and hydrate your sensitive skin? Do you need a potent, safe and effective way to reduce the symptoms of acne, eczema and dry skin? Introducing The Premium Natural 100% Organic African Black Soap By AlmaClear Raw! Each bar of our elite, hydrating and skin-cleansing black soap is handmade following the traditional African craftsmanship to ensure its superior-quality. Unlike common skin care products, African black face and body soap is 100% organic and contains natural, healthy and nourishing ingredients such as Palm Kernel Oil, Cocoa Pod and Plantain Oil. Regain Your Lost Confidence Today With Nature’s Most Beneficial Ingredients! A Natural Cleanser & Moisturizer For The Whole Family! Perfect for both men and women and all skin types, the AlmaClear Raw African black face and body soap is enriched with nutrients such as minerals and vitamins, which have anti-inflammatory, anti-bacterial, anti-fungal and anti-microbial powers! Lather up with our 100% organic black soap and enjoy its gentle yet effective exfoliating properties and deep cleansing and hydration. Why Hesitate? Indulge Yourself! Click “Add To Cart” Now & Enjoy The Soothing Experience Of Black Soap! DISCOVER THE SKIN-CLEANSING POWERS OF AFRICAN BLACK SOAP! 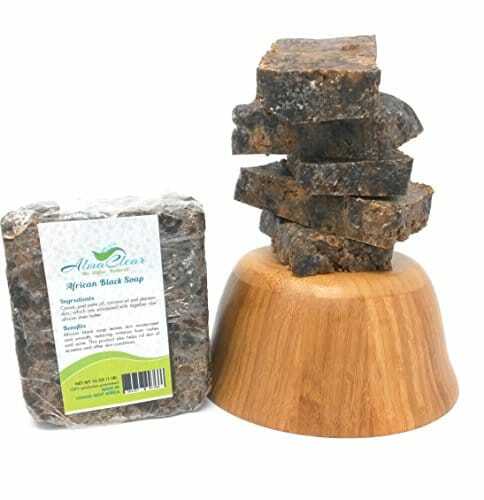 – Used as a potent skin cleanser and protector for centuries in central Africa, Black Soap is one of the oldest and most effective skin health-boosting treatments worldwide. Now you can finally enjoy its soothing and therapeutic benefits every day thanks to the AlmaClear Raw raw organic African Black Soap! BOOST YOUR SKIN’S NATURAL BEAUTY! – The AlmaClear Raw genuine African Black Soap bar is made of 100% organic, natural and nutrient-rich ingredients such as Palm Kernel Oil, Cocoa Pod & Plantain, which help combat acne, eczema and speed up skin cell regeneration, due to their high content of essential vitamins and minerals! WILL SOOTHE ANY TYPE OF SKIN! – Looking for a healthy and preservative-free soap to cleanse your dry skin without stripping it of its natural oils? The AlmaClear Raw raw African Black Soap is here to rejuvenate your skin and help reduce blemishes, face and body acne, eczema and skin irritation with its anti-inflammatory, anti-bacterial and anti-fungal properties! DEEP CLEANSING & HYDRATION FOR MEN & WOMEN! – Now you can heal and repair your damaged sensitive skin, unclog blocked pores, even out dark spots and boost healthy circulation with the AlmaClear Raw 100% organic, hypoallergenic African Black Soap. Plus, you can use it after shaving to soothe razor bumps and reduce redness. STRAIGHT FROM AFRICA TO YOUR BATHROOM! – Following the proud tradition of African craftsmen, each bar of AlmaClear Raw African Black Soap is handcrafted in order to offer you the authentic, raw and original cleansing experience! Try our skin-rejuvenating Black Soap for 30 days and if you are not 100% thrilled with its soothing results, we promise to buy it back from you at full price! 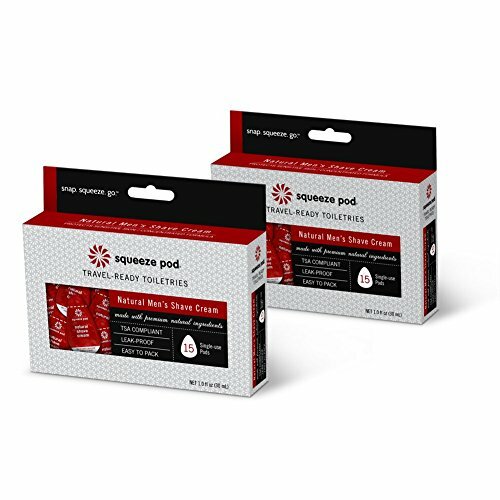 Squeeze Pod is a travel-ready line of travel size personal care products conveniently packaged in patented, single-use “pods” for pampering and problem-solving on the go. All Squeeze Pod products are manufactured in the USA using premium natural ingredients. Perfect for travelers and active people who squeeze the most out of life, Squeeze Pods are TSA-Approved and easy to pack or tuck in a pocket, backpack, carry-on or gym bag. We’re proud our products are vegan and certified cruelty-free by PETA. Formulated for sensitive skin with no harmful preservatives or allergens, Squeeze Pod Travel Size Natural Shave Cream offers two-in-one convenience: It softens stubble for a close shave while moisturizing skin with natural sunflower seed, coconut, spruce and lemon verbena leaf oils. Our non-comedogenic shaving cream won’t clog your pores. Take the guesswork out of packing: Simply count out the number of shaving cream pods you need before you travel. Once you finish shaving, don’t be afraid to massage the extra shave cream into your face. The moisturizing properties work as a great aftershave.